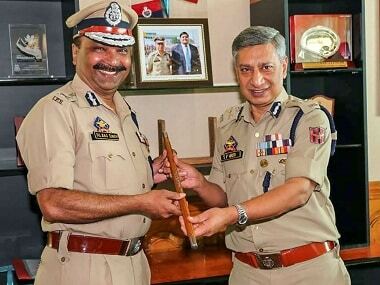 Amid a deluge of speculation, no one knows precisely what led Governor Satya Pal Malik and advisor K Vijay Kumar to order the removal of Shesh Paul Vaid as Jammu and Kashmir police chief and to appoint him transport commissioner around midnight on 6 September. Significantly, the administration transferred SP Vaid and appointed Dilbag Singh ‘acting DGP’ even at the risk of contempt of a Supreme Court order. 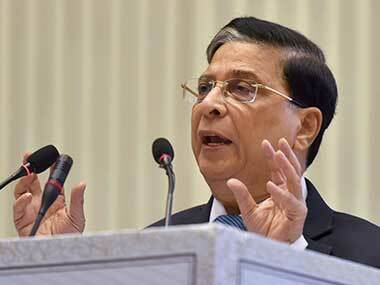 In July, a three-judge bench, comprising Chief Justice Dipak Misra and two judges, banned selection of incumbents by state governments on a pick-and-choose basis and the appointment of acting DGPs who were subsequently confirmed to the posts. 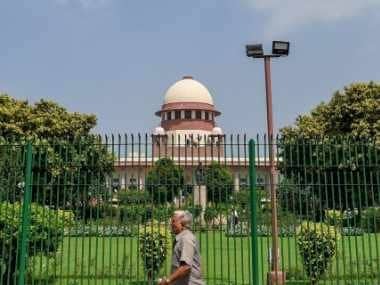 On Friday, Jammu and Kashmir government deployed its attorneys to seek Supreme Court’s permission for the stop-gap arrangement. They emphasised that a sensitive state like Jammu and Kashmir could not be left without a DGP. Interestingly, Vaid’s transfer and posting order had a tinge of exile: It mentioned that he would maintain his headquarters in Jammu and not in the summer capital of Srinagar. 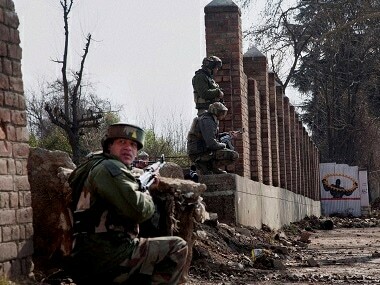 Newspapers and television channels alleged, without quoting officials, that the hostage crisis in Pulwama over the past fortnight led to Vaid’s exit. It was reported that the administration was angry with Vaid over the arrest and subsequently release of the father of top militant Riyaz Naikoo. Police were forced to release relatives of three militants after Hizbul Mujahideen kidnapped and held hostage as many as 11 police personnel and their family members. Vaid clarified that he had not ordered the arrest—or the release—of the militants' relatives. And with neither Vaid nor anyone in the government speaking out about the transfer, Vaid's shunting continues to be shrouded in mystery. Those well-versed with matters of governance insist that DGPs are not removed over “ordinary things” such as ordering the arrest or release of a militant or his relatives. With support from then prime minister Indira Gandhi, Ghulam Mohammad Shah—then chief minister—left no stone unturned to ensure his son Muzaffar’s victory in the Lok Sabha elections of December 1984. That came only five months after the Congress-sponsored coup d’état. In July 1984, 13 MLAs of Farooq Abdullah’s National Conference (NC) revolted to form a group titled NC Khalida. They joined hands with the Congress to install GM Shah as the new Chief Minister. Khalida was Farooq’s sister and Shah’s wife. As the defiant and terribly angry Valley saw protracted demonstrations against the dismissal of Farooq’s elected government, (leading to months of curfew), Shah was nicknamed ‘Gul curfew’. He reportedly asked the police and civil administration to ensure victory of all three of his party candidates from Srinagar, Baramulla and Anantnag. Congress, then headed in Jammu and Kashmir by Mufti Mohammad Sayeed, had 26 seats in the Assembly. It enjoyed considerable support in three seats: Jammu, Udhampur and Ladakh. With the advantage of a split in the Opposition vote between NC and Independent stalwart Dr Karan Singh in Jammu, and a tough contest with NC in Ladakh, Congress bagged three seats. In Jammu, Janak Raj Gupta got 2,62,796 votes and defeated both of his arch rivals, Shabir Ahmad Salaria (1,42,604 votes) of National Conference and Singh (1,39,913 votes). In Udhampur, Girdhari Lal Dogra polled 2,06,639 votes against the Panthers Party founder-president Bhim Singh, who got 95,149 votes. In Ladakh, P Namgyal (33,037 votes) defeated NC’s Qamar Ali Akhoon (25,060 votes). In the historic Lok Sabha elections (which had the highest turnout), the ruling NC Khalida, now known as Awami National Conference, cut a sorry figure in both seats it contested in central and north Kashmir. Muzaffar suffered the coalition’s bone-breaking defeat in the all-important central Kashmir constituency of Srinagar-Budgam. He was defeated by NC’s Abdul Rashid Kabli with a huge margin of 2,86,277 votes. While as Kabli polled 4,70,871 votes (81.08 percent of the votes cast), Shah got only 80,972 votes (17.88 percent). This all-important constituency witnessed a massive voter turnout of 73.51 percent, surpassing even Jammu and Ladakh regions. In Baramulla, NC’s Saif-ud-din Soz trounced the ruling coalition’s candidate Ghulam Mohiuddin Wani with a substantial margin of 1,40,419 votes. Soz got 2,34,357 votes (69.69 percent of the votes cast) and Wani 93,938 votes (27.93 percent). NC fielded none other than Sheikh Abdullah’s wife, Begam Akbar Jehan, against the Congress leader and the coalition’s candidate Peer Hussam-ud-din in Mufti’s stronghold of south Kashmir. While Begam Abdullah polled 2,40,973 votes (58.51 percent of the total votes cast), Hussam-ud-din had to be content with just 1,58,963 votes (38.60 percent). Begam defeated him with a margin of 61,264 votes. These results infuriated Shah. Heads rolled on 16 January, 1985: then director general of police Peer Ghulam Hassan Shah, who'd been granted an extension of two years earlier that year by Indira Gandhi’s government at the Centre, was unceremoniously removed and posted as transport commissioner. Peer immediately returned from an official meeting in New Delhi. He sent back his official cavalcade and returned to his home from Srinagar airport in his private car. He didn’t take long to tender his resignation. Then divisional commissioner Hamidullah Khan Banihali was removed and given the insignificant posting of an Officer on Special Duty (OSD). Then Jammu and Kashmir DIG Ali Mohammad Watali was removed and shifted to Industrial Security Force. DCs of Baramulla and Anantnag, Abdul Aziz Akhoon and Abdul Khaliq Wani, were also shunted out. Then additional DC, Ghulam Qadir Pardesi, who was acting DC Srinagar during Ghulam Qadir Bacha's leave, was also removed and posted as a Settlement Officer in Jammu. On 19 May, 2003, when then chief minister Mufti Sayeed removed AK Suri as DGP and appointed him transport commissioner, nobody recorded the reason. The speculation: Suri was shown the door for the alleged custodial killing of Hizbul Mujahideen’s chief of operations Saiful Islam. 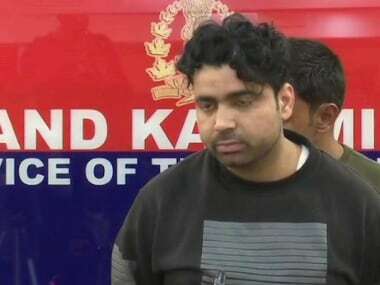 Ghulam Hassan Khan alias Engineer Zaman alias Saiful Islam, had been tracked through his satellite phone at the home of bank official Altaf Mir on the outskirts of Sringar on 2 April, 2003. Reports suggested that Saiful’s killing strained a clandestine chemistry between PDP and Hizbul Mujahideen, leading to Suri’s removal. Some official circles, nevertheless, insisted that Mufti was under pressure from his coalition partner Congress, and then deputy chief minister Mangat Ram Sharma in particular, to appoint Gopal Sharma as DGP. In recent times, then Jammu and Kashmir IGP SM Sahai and Anantnag SSP Abdul Jabbar were shifted to central deputations by Mehbooba Mufti after the police and security forces killed Hizbul Mujahideen commander Burhan Wani and his associates in an encounter in July 2016. Speaking briefly with journalists, Sahai said Mufti was usually informed about all police operations. Mufti, claiming ignorance about the encounter, told the media she'd have preferred to give the three militants safe passage “for Kashmir’s peace and tourism” if she'd known about Burhan's presence at the hideout. In May 1986, TR Kalra, a DGP rank officer, was appointed transport commissioner as then governor Jagmohan shifted DGP Madan Mohan Khajuria to Tawi Scooters, a Jammu and Kashmir government undertaking. Ghulam Jeelani Pandit was removed as DGP by Farooq Abdullah’s government immediately after the Rubaiya Sayeed hostage crisis ended with release of five Jammu Kashmir Liberation Front militants in December 1989.